Employer Branding is a fascinating topic and I strongly believe that the majority of businesses still don't really understand it. There are still far too many companies that don't value their recruitment process and merely want to get through it as quickly as possible and fill the vacancy they have. Employer Branding applies to companies no matter what their size. The example in the article below is for Virgin Media, however, it applies to SME's too. The key consideration for your recruitment process is how you make your candidates feel. Would you make them feel the same way if they were a customer who wanted to buy goods or services from you? Shouldn't all your stakeholders, no matter who they are gain a fantastic experience for any interaction they have with your company? 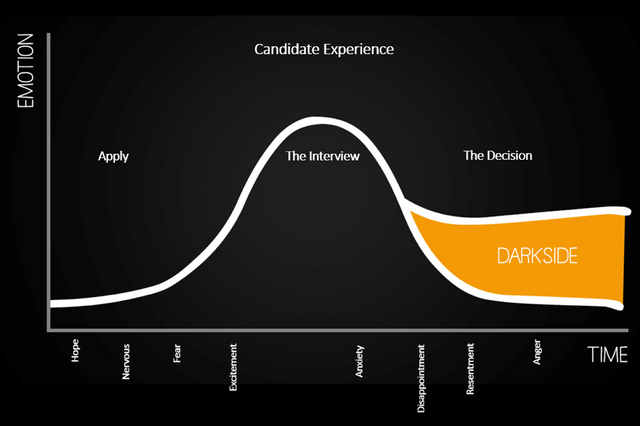 Yes, so why do you treat candidates differently? Employees are the difference between you succeeding or failing and so if you create such a negative employer brand that THE best talent has no interest in joining, then you are setting yourself up to operate a mediocre business. When embarking to recruit any level of role in your organisation, please design the process to deliver an experience that you personally would be proud to be involved in. Remember that candidates will tell their friends, family, work colleagues and anyone they know about their experience and that word of mouth could either create an influx of interest in your business or ensure no-one wants to work for you. Moreover, it could also drive customers and potential customers away from buying your goods and services. Virgin Media calculated that their poor recruitment experience was costing them c. £4.4 million in candidates sharing their negative story and then their network switching to other network operators. In brief, don't take a recruitment process for grated and consider it a success based on your filling a vacancy. Ensure the rejected candidates feel as special as the one who has been offered the role! Together, we believe it’s important to focus on understanding and mastering these three principle areas to create a brand experience that every part of the business can not only be proud of, but can benefit from too. The application process — The first impression you make as a hiring brand is essential. Attraction, user experience, content, speed, efficiency are all best practice considerations that your digital team can assist you with managing and improving on an ongoing basis. The interview — This is the first in-person interaction with your brand. The people in this team are directly responsible for creating a positive or negative impression for your entire brand at this point. They hold more power than they sometimes realize; get it right.